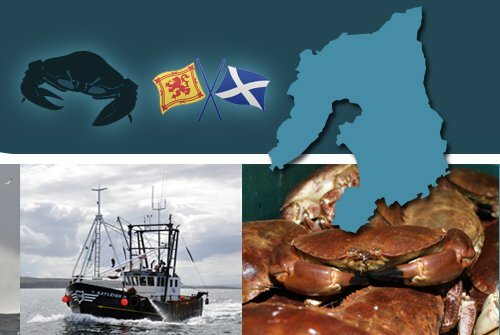 With there years of experience and dedication Islay Crab Exports are proud of our profound knowledge of the business of international live shellfish export. 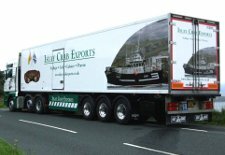 Each week we send our own state of the art Vivier lorry from Islay to France and again to Poole for an onward journey to Spain.Each lorry holds an extensive range including Brown Crab,Velvet Crab, Lobster, Razor clams and many more. The word vivier comes from the French word vivre - to live. 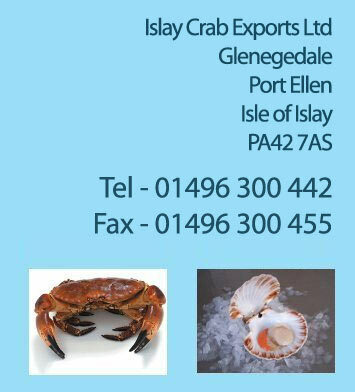 Refrigerated seawater is continuously pumped through high pressure sand filters ensuring the shellfish are kept in a cold, dark, stress-free environment which is continuously monitored for oxygen, protein and disease 24 hrs a day. 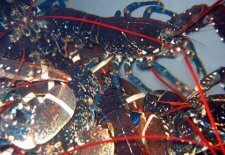 The overall aim of transporting the shellfish live in a Vivier truck is to provide them with conditions as similar as possible to their natural environment whilst keeping them alive and in pristine condition.